Capt. Gene Vander Hoek was running one of his own Taper lures as he trolled the famous waters of Kona, Hawaii on his 39-foot Rybovich, the SEA GENIE II. 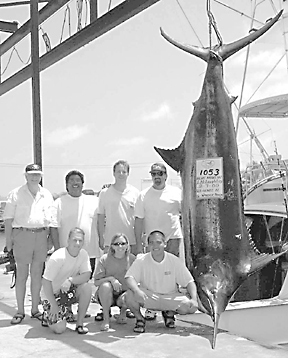 The lure did its job and soon Jeffery McLaughlin was hooked to a 1053-lb bruiser marlin. The fight time was 1 hour.